The following says that the guitar was "played percussively" meaning that it was laid on its back & the strings were played with wooden drum-sticks - including using a drum-stick as a slide. To make the above a little clearer: the Mirage sampler didn't allow one sample across the entire 61 key range, it enforced a division into 2 samples minimum, 16 samples maximum. Hence, the minimum 2 samples are designated "Lower" & "Upper". 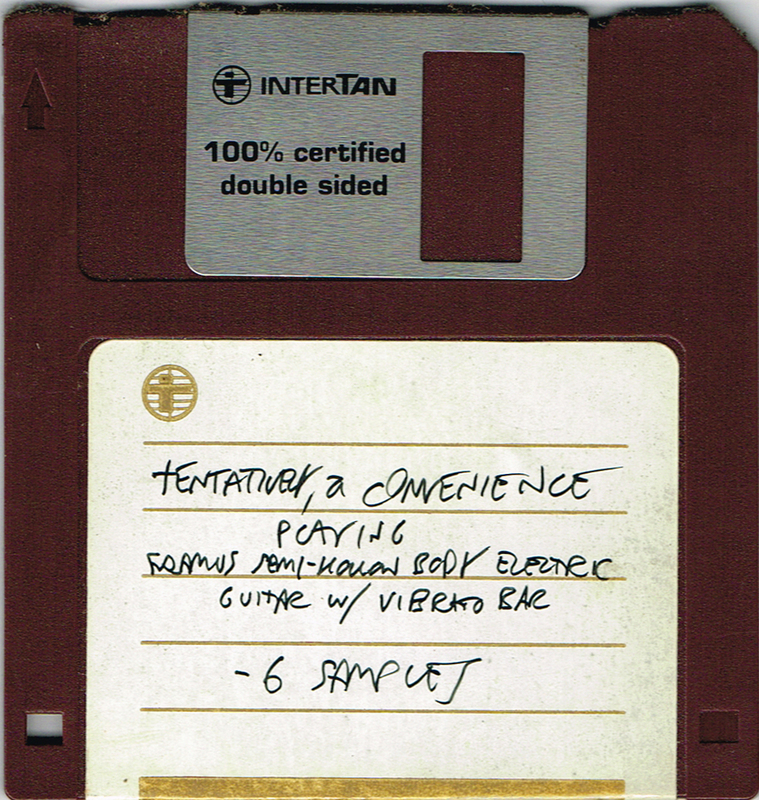 The floppy discs that these samples were stored on only had enough memory to store 3 each of these "Lowers"s & "Upper"s = a total of 6 very short samples. Therefore, in this instance, "Upper 3" means the 3rd of the "Upper" guitar samples on the disc. See the enlarged relevant floppy disc image below.